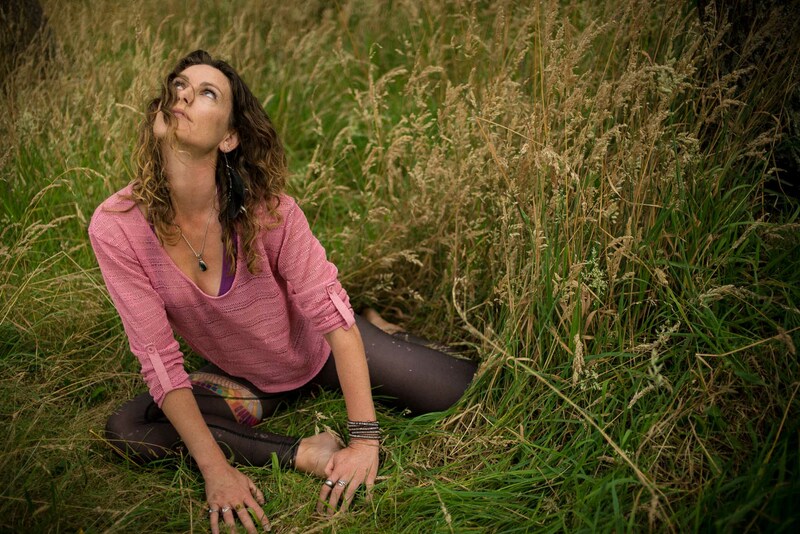 You are here: Home / Yoga Articles / Awakening • Creating a More Beautiful World / Musings from the Mat / Can You ‘Make Up’ a Yoga Pose? Here’s so & so teacher making up a new yoga pose for you. WTF? Since when were yoga poses – asana – ‘made up’? Since they began being taught through intellectual understanding rather than embodiment, that’s when. Yoga postures are a physical result of an energetic process. They emerge from the flow of Prana within the body. Or here’s another way to put it. Yoga is a state of presence. In that state of presence one begins to feel the movement of Prana within. And can choose to surrender to that movement – an aspect of Prana that is sometimes referred to as Kundalini. That flow of Prana, called Kundalini, then snakes around the body seeking out areas of tension, where samskaras are held. Or, in the language of neuroscience as opposed to esoteric language, traumas frozen in the nervous system. When Kundalini does this – snakes around the body seeking out tensions – it then moves the body into yoga postures as a way of both finding those tensions and releasing that tension. From the outside looking in, what results is something that looks like an asana. Really, asana is the physical manifestation of the clearing of energetic pathways. Energy comes first. Then posture. So when someone says they are ‘making up’ a yoga posture, I’m like, WTF? That doesn’t make any sense. You don’t make up a yoga posture, a yoga posture is revealed to you. Maybe I’m biased and my conditioned mind and unconscious beliefs are filtering my percpetion of the situation. Maybe I only have half the picture, or less. Maybe it is possible to make up a yoga posture. It would simply involve putting the body into a particular physical arrangement – anything would do – and then allowing Kundalini to snake around within the confines of the channels that that physical manifestation produces. As she does so, she will likely find blockages and areas of tension to release and open. Being in that particular physical posture will eventually become an asana through the union of one’s own individual consciousness with universal consciousness – in this case represented by Kundalini. However, if someone puts their body into a particular shape but hasn’t unified their individual consciousness with universal consciousness, then that shape is merely gymnastics. In other words, asana is not physical shape, it is embodied consciousness. And when we practice asana, must of us are doing the physical shapes, and beginning to tune into the breath, which is the first step in unifying one’s consciousness. So you can’t make up an asana. But you can turn every single action and movement you do into asana through the unification of consciousness. Some historical context for this perspective. The shastras (scriptures) state that in the beginning there were 8.4 Million asanas (Gheranda Samhita II.1), equal to the number of species in the universe but only the Divine in the form of the Lord Shiva can know all of them. Of course Shiva would know 8.4 million asana because he IS unified consciousness, therefore anything he does would be an asana. An aside to the idea of endless postures. It is also said that if a yogi can master one posture, this is all that is needed. Just one. The yogic texts have much to say about which one asana it’s worth devoting one’s energy to. This means you can forget about the other 8.39 million or so postures and just focus on one of those postures. Modifying for your bone structure of course, because some of us will never physically be able to do padmasana because of the external rotation range of movement in our hip joints. 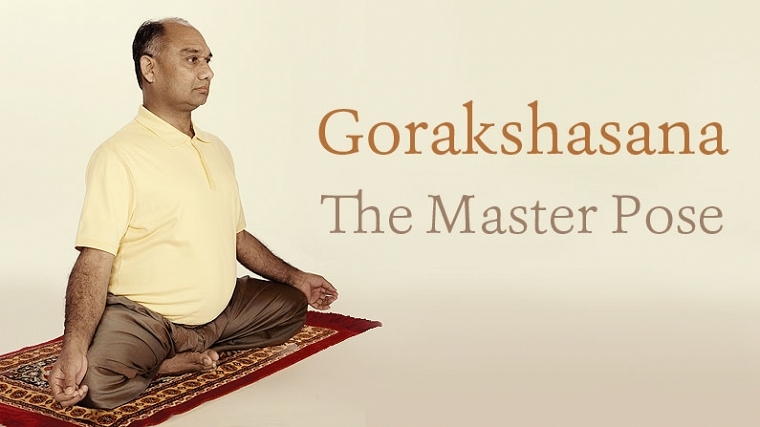 Or, you could go for this one posture (below), venerated by the Tantra practitioners in the Natha tradition, Gorakshasana. Dial that one out and you’ll stop the ageing process. Really though, you don’t have to choose just one posture. If you can unify your consciousness and allow Kundalini to flow, it will take you on the perfect practice for your body, moving you toward an ideal meditation posture. That’s just the flow. It will happen without you needing to direct it, nor think about it, nor make anything up. So by all means. Go ahead. Make up a posture. Make up ten postures if you like. And then do the practice. Tune into your breath. Become your breath. Feel the flow of Prana. Feel the flow of Kundalini. And let your consciousness become unified.